The Big Idea: When providers and parents work together, kids thrive. 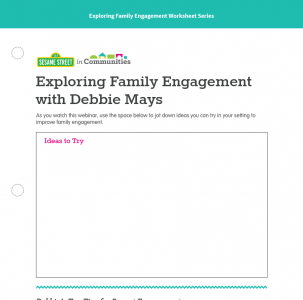 Learn from veteran family child care provider, Debbie Mays, about how to create more authentic relationships with kids and their families. 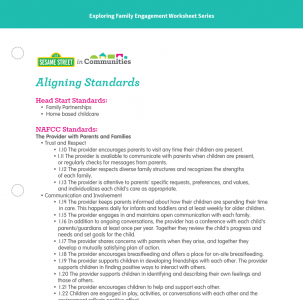 In this webinar, we’ll learn about the ways that Debbie structures children’s days in family child care, how she works with families to cater to each child’s learning and development, and strategies she has used to increase parent engagement in the family child care setting.